This has got to be the easiest snack you can ever make. Any nutella lover out there will LOVE these, both young and old.. 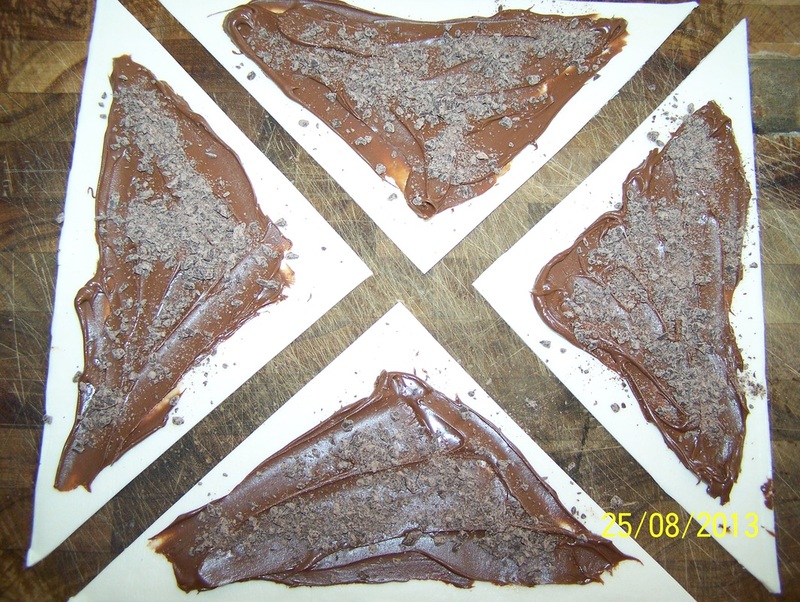 So few ingredients, yet you have a delicious snack in no time, this is one of those treats you can whip up easily as long as you are like me and you have these ingredients readily available in your house.. They are great warm or cold. The pastry becomes flaky and crisp, and with every bite you get the taste of chocolate. 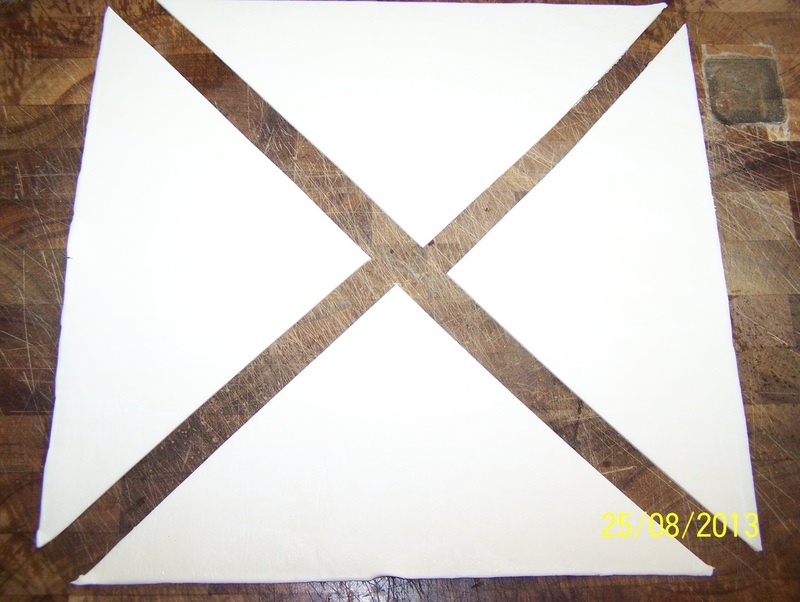 Cut each piece of puff pastry across the diagonal, to form 4 triangles. 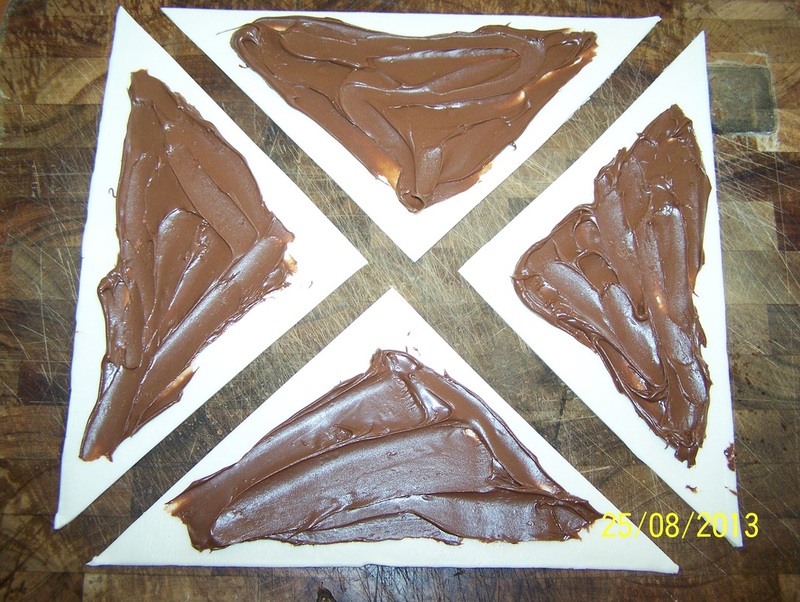 Spread each triangle with some nutella, leave a 1cm border around the sides. 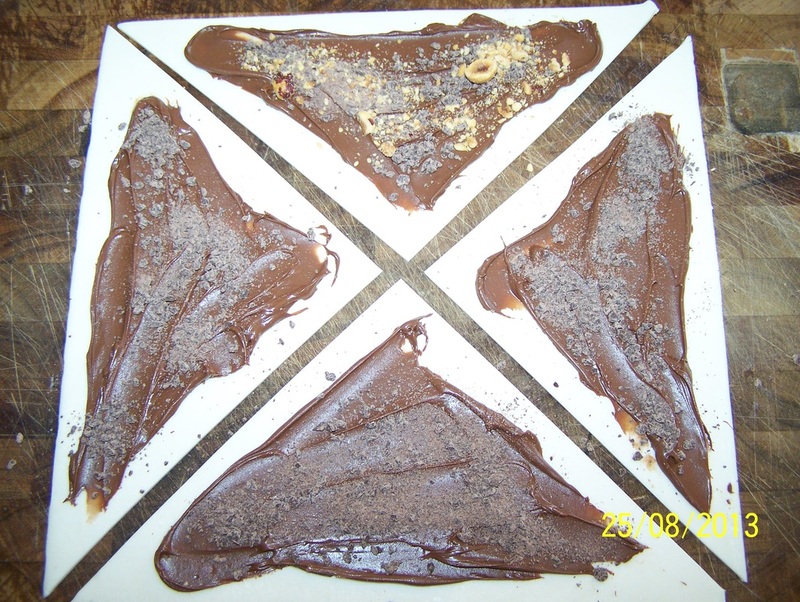 Sprinkle each triangle evenly with the chocolate. Sprinkle with hazelnuts also, if using. I added some chopped hazelnuts for my one, the kids preferred just chocolate. When the puff pastry is soft enough, start rolling up the triangles from the widest edge, roll all the way to the pointy tip. 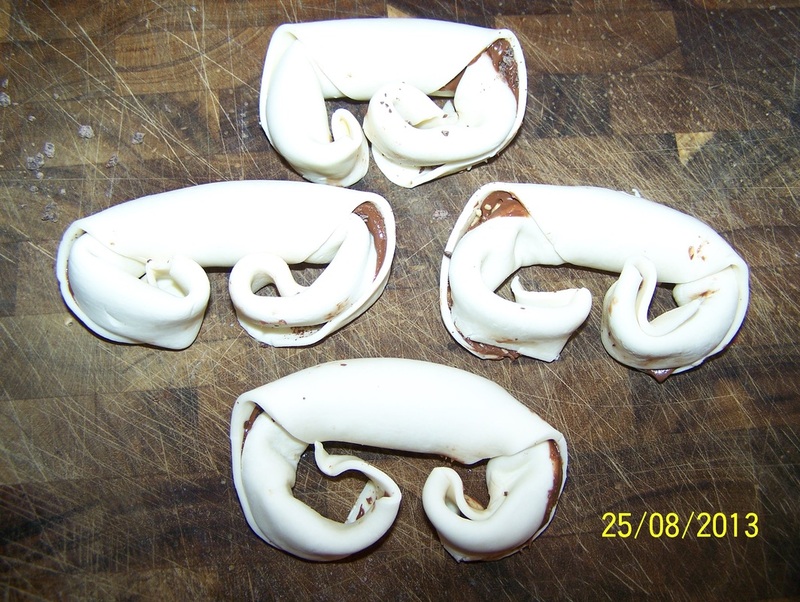 Curl the ends in to form croissant shapes. Place on your baking tray, leaving some space between each croissant as they spread during baking. Brush the pastry with the melted butter. Place in the oven and bake for 18-20 minutes or until the croissants are browned and cooked through. Serve croissants lightly dusted with sifted icing sugar.